GI Joe finds a map guiding him to hidden treasure, but can he retrieve it without falling prey to a mysterious threat known as "The Eight Ropes of Danger?" 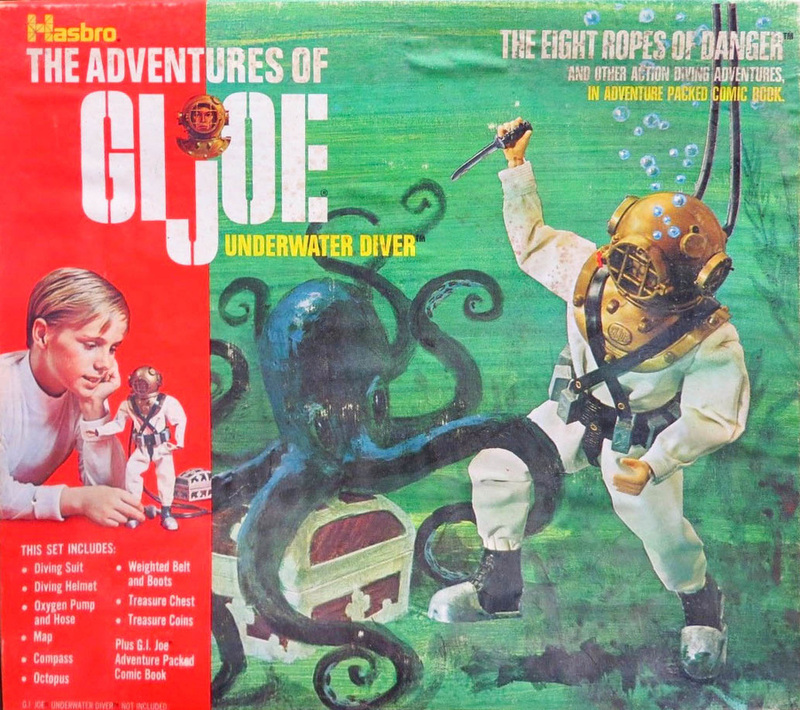 The Deep Sea Diver was given a storyline with the addition of a map, treasure chest and octopus in The Eight Ropes of Danger (7950). Please note that the buoy, gloves and knife in the spin above are my addition and were not necessarily included in the set. The weight belt should be the version with just four metal weights and no crotch strap. 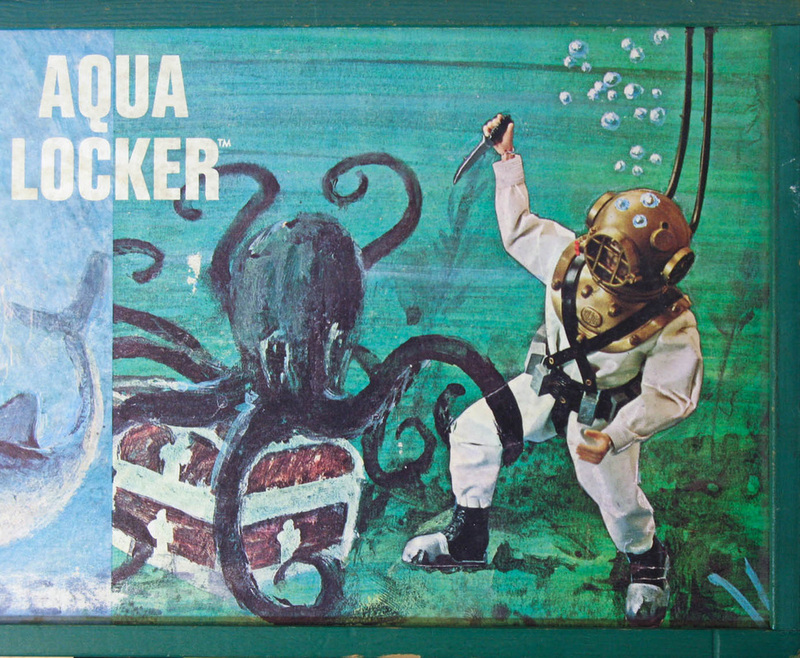 The box art, as shown above, was used in modified form on the Aquanaut box and the lid of the Aqua Locker. During the 1969 release the belt of full weights shown in the spin above was replaced with a version with only four metal weights, the rest being molded into the plastic of the belt. This was likely done to reduce production cost. 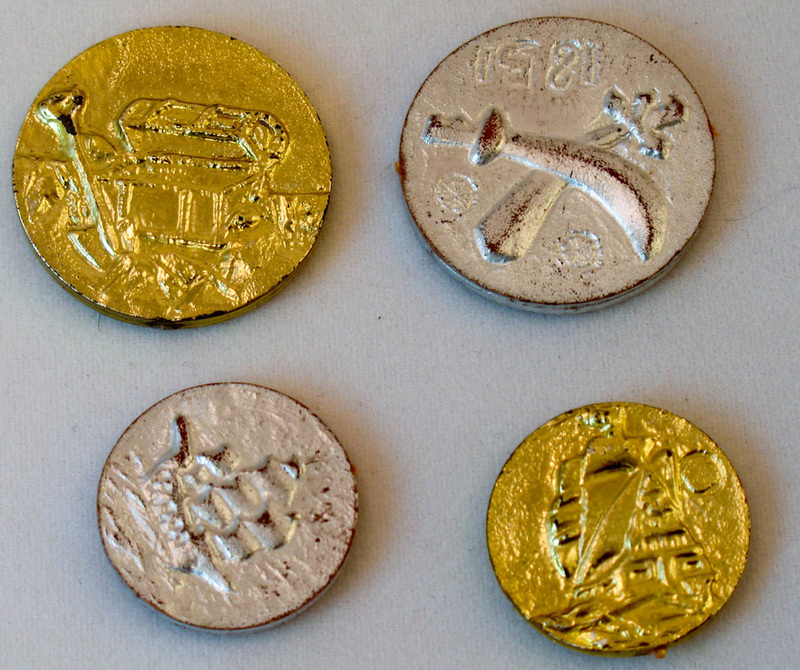 Four kid-sized doubloons were included, shown front & back below. The same ones weren't always silver or gold, but one large and one small was included with each set.